April, 2019: Writer/Podcaster Joshua Pantalleresco and I talk about the role of teachers, whether or not people get what they want, my current work in progress, and Josh being published in OnSpec--all while running the merchants' table at Creative Ink 2019 (hear us chat before we get overrun). November, 2018: In a video now on YouTube, Donna Barker and I talk about how to be a great critique partner. July, 2018: the wonderful people at The Creative Academy invited me to discuss topics ranging from writing to life. June, 2018: Writer/Podcaster Joshua Pantalleresco and I talk about Rage, dealing with anger, rejection, writing, teaching, and much, much more. November, 2017: In discussing Canadian story collections, Sarah Murdoch dropped a quick write-up of Rage and said some nice things about my website, too in The Toronto Star. 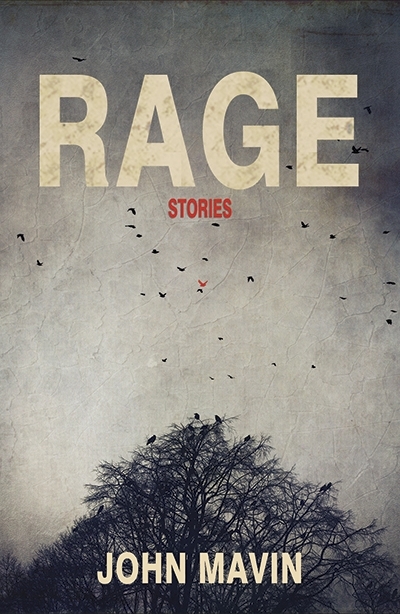 November, 2017: the very kind people at All Lit Up shared a few words about Rage in their First Fiction Friday feature. May, 2012: Social Media Guru Andrea Beltran asked me five questions for a mini-interview with Flashquake. August, 2008: Meg Walker of UBC's Public Affairs department talked to me about the teaching I was been doing in Vancouver's Downtown Eastside for UBC Reports. March, 2006: Managing Editor Jason Sizemore asked me a few questions for Issue #16 of Apex Online.